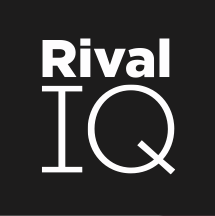 Here, you'll find detailed information on how to use each report and tool in Rival IQ. This article covers the the full capabilities of Custom Dashboards, your flexible report generation tool in Rival IQ. This article is Part 1 of 4 in our guide to the Instagram Insights analytics in Rival IQ. This article is Part 3 of 4 in our guide to the Instagram Insights analytics in Rival IQ. This article is Part 4 of 4 in our guide to the Instagram Insights analytics in Rival IQ. How to set up Google Analytics Alerts to discover big changes in your traffic. This article covers how to use Google Analytics in Rival IQ. Learn how to analyze how your landscape shares URLs in social posts. This article is a complete user guide for Discover, our powerful search tool for Twitter and Instagram. This article is about the Rival IQ API, what it is, how you can use it, and why it's beneficial for your team. Pull your Rival IQ metrics and posts into Data Studio to customize how you present your data.